Chamberlain Group is one of the top connectivity companies in the industry, and manufacturer of some of the most reliable and efficient “smart home” products. In partnership with Rightpoint, Chamberlain is leading the way in connected systems and pioneering IoT innovations throughout the home. Developing next-generation smart products that give people active control over their home from anywhere in the world. Inside: Chamberlain manufactures the most advanced garage door openers and smartphone-connected products. LiftMaster is the number-one brand of professionally installed residential garage door openers. Chamberlain Group’s portfolio of products are designed to deliver the highest level of security, peace of mind, and convenience to consumers. Outside: The internet is fast becoming the Internet of Things. According to Gartner, there will be 26 billion “connected” devices in operation by 2020. As sensors and connectivity become more compact and affordable, more everyday machines are getting connected to the web and each other, giving us more convenience, security and productivity. Putting peace of mind in the palm of users’ hands with the MyQ mobile app. A simple yet pervasive problem for homeowners is knowing whether they left the garage door open when they are away from home. 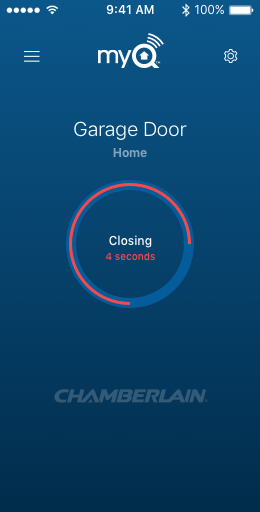 To solve this, Chamberlain worked with Rightpoint to create MyQ, a powerful smartphone app that allows users to stay connected to their homes, and monitor the status of the garage door and lights in the house from anywhere in the world. MyQ provides homeowners with the ultimate security, convenience and control. When the MyQ app ballooned in popularity, Rightpoint helped Chamberlain respond to rapid user growth by re-engineering the app’s messaging engine to improve its scalability and performance. We converted the app’s monolithic architecture to a micro-service solution geared toward extendibility and scalability. Rightpoint’s experts teamed with Chamberlain to engineer, architect and build a micro-service solution that makes it easier to add new services and release app updates in a more frequent, more agile manner. Rightpoint has collaborated with Chamberlain on an ongoing basis to keep their web presence user-friendly and up-to-date, using the Kentico platform. We are constantly working with them to maintain and enhance their e-commerce sites, improving user experience and searchability. On Chamberlain.com, we work to consistently enhance SEO, and helped streamline and improve the site’s parts-sales section and customer checkout processes. We also worked with LiftMaster to completely re-design and re-engineer the LiftMaster.com website. We now help them maintain and enhance it, adding new features on a consistent basis to better serve the site’s audience of dealerships, construction companies, and property developers. 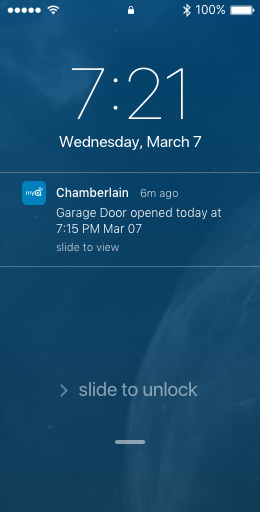 "Chamberlain's MyQ Garage is a smart-home gateway drug"
Together with Rightpoint, Chamberlain Group is leading the way in smart home innovations and pioneering connected systems that give people peace of mind, confidence and control when they need it most. increase in users. Since Rightpoint’s involvement, the number of MyQ users has doubled. user capacity of current MyQ system; with expansion planned to increase capacity even further.